Here are more of my drawings. 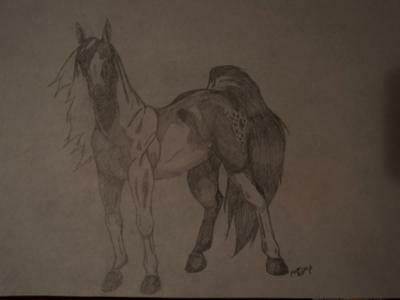 The first one is of my horse Dexter, sorry that it's so dark I couldn't get the light right when I took the picture. 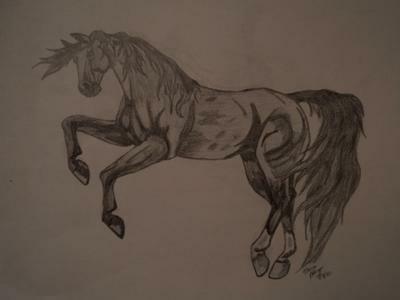 so so pretty I love drawing I also draw horses like you! but you are one amazing artist! you got the head the perfect length,and your horses legs are amazing I love everything about It! I really love it! What do you do to draw the details like muscles? It's so awesome, you should enter in a drawing contest or something!!!!!! those are really great drawings!